Delivering emails right to the inbox is already a tough task and to add more complications to it, you need to find reliable and cheap SMTP servers. Yes, how can we forget, the reliable and cheap SMPT servers must also be apt for bulk emailing. Send and deliver bulk emails at the lightning speed. Authentication of emails by embedding DKIM signatures and SPF validation. The inclusion of all the white-listed servers for improving and managing sender’s reputation. So, this should be the very base of your research on an apt SMPT for your email marketing. To calm your nerves and also to save your time, the blog lists 5+ cheap SMTP servers which specialize in high delivery and affordability for your email marketing campaigns. 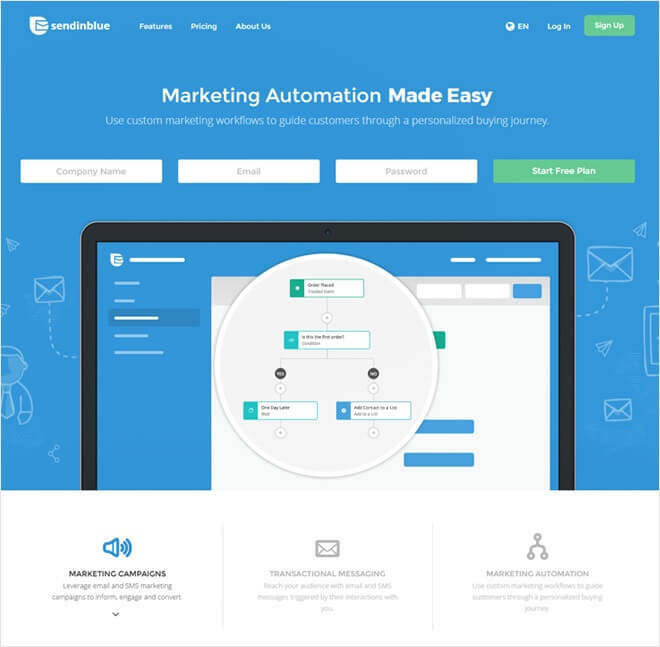 MailGet Bolt is the one-stop solution to take care of your email marketing needs. The bulk emailing software is packed with the in-built SMTP, hence enhancing the deliverability of your email marketing campaigns. The mass emailing software is capable enough to keep track of user actions via email tracking functionality. MailGet Bolt facilitates the use of email scheduling which only requires you to set a triggering date and time on the campaign. You can also increase your open rate by sending emails as an auto follow up to all the recipients who haven’t opened your emails in the first attempt. 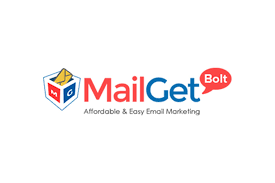 MailGet Bolt is known to provide several affordable pricing plans on the monthly and annual basis which is based purely on the number of subscribers i.e. you get to send unlimited emails to the allotted number of recipients. The plan with $42/month price tag on it permits you to send unlimited emails to 10,000 subscribers. The subsequent plan offers you the capability to send unlimited emails to 15,000 subscribers at the price of $59/month. Similarly, there are other subsequent plans ranging from $89/month to $369/month which offers the subscriber’s quota from 25,000 – 100,000. MailGet Bolt also offers a FREE plan in which you get to send 9000 emails to300 subscribers for 14 days. During the testing procedure, MailGet Bolt pitched a whopping 97.31% open rate on transactional email campaigns and 43.64% open rate on promotional email campaigns. This indicates that MailGet Bolt too has the power to achieve high delivery rates. For sure, an all in one solution to satisfy your email marketing needs in a pocket-friendly way. SendinBlue is one of the most trusted GDPR compliant SMTP services with which you can easily send transactional & marketing emails/SMS. Moreover, SendinBlue can track multiple email campaigns as well as produce reports based on open rates, click rate, bounce rate, etc. SendinBlue lets you create templates mainly for transactional emails like sign-up, purchase confirmation, etc. And you could use multiple design editors for the same functionality. SendinBlue renders various reports and metrics to monitor a campaign. You can generate reports on the basis of deliverability, CTR, & open rates on the daily/weekly/ monthly basis and various other real-time statistics. There are two options available to integrate SMTP service. Either you could use the PHP Library or the conventional mode by manually configuring server, port, username, and password. Free Plan – The Free plan allows sending 300 emails per day in a month to unlimited contacts without spending a single penny. Lite Plan – This plan lets you send 40,000 emails a month at just $7/month. Plus it doesn’t have a sending limit. Premium Plan 1 – You will be able to send 1,20,000 emails at a cost of $66/month. Also, it avails features like landing page builder, unlimited automation workflows etc. Premium Plan 2 – The second premium plan allows you to send 3,50,000 emails a month in just $173/month. Apart from all the features of Premium Plan 1, it also renders you a free dedicated IP. Enterprise Plan – It is a dedicated plan to send emails above 3,50,000/month. And you must contact the sales team to know the estimated cost. Utilize great Moosend SMTP service that provides quick and clean SMTP integration with your website or other application. This SMTP service empowers you to send transactional emails smoothly and fastly. It also increases your delivery rate by utilizing our world-class infrastructure. 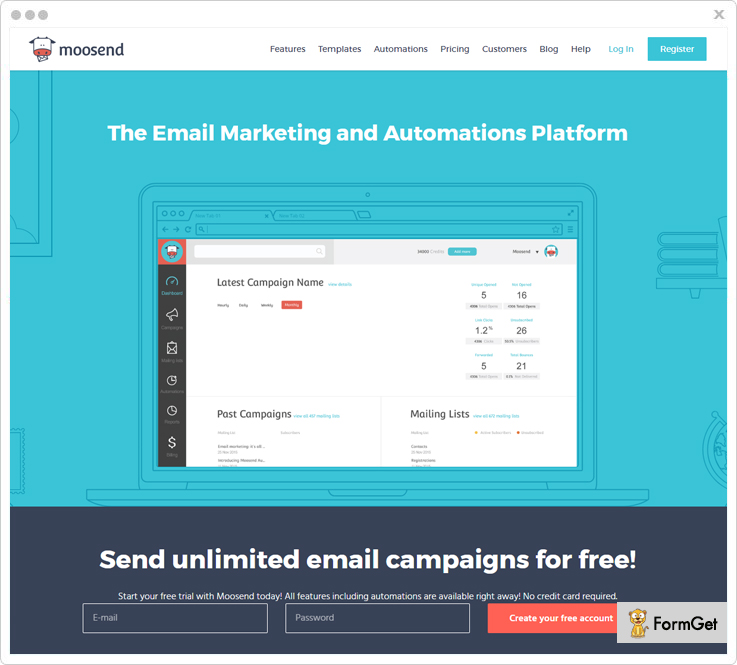 Let you create awesome transactional emails within the seconds by using Moosend drag-and-drop campaign editor. Provide an advance report that contains real-time stats for the performance of the transactional emails. Helps to introduce TLS encryption across all of your messages so that you can easily protect important messages while sending. You can send the unlimited number of emails to your users within a minute and provides segmentation feature that helps you to divide your database such that the message gets delivered to the right users. Provides unlimited emails to 1,000 subscribers per month for free. You can send unlimited emails up to 8,000 subscribers in $40 per month. Also, offers 6 months and annually prices that lets you save up to 15 & 20 percents. Offers another “pay-as-you-go” plan that is especially for the occasional sender. Pepipost is one of the reliable email delivery services which focuses on clean email networks, cheap SMTP server, data security and other amenities for the best inbox rates. Pepipost offers three different ways to send emails i.e. SMTP relays, HTTP APIs and Plugins. Furthermore, the SMTP server offers transparent and comprehensive stats about how emails are delivered. A dedicated system to notify you about the hard bounces is also incorporated in the email delivery system. One of the many things that Pepipost boast about is the fact that they reward you back with email credits for all the opened emails. Forever FREE Plan – The plan provides you the right to send 25,000 emails/month for free with 5000 emails/day limit. You also get a single sending domain address, live reports, 24X7 web support and webhooks. Pro Plan – This is a paid plan which charges $0.20 per 1000 emails with no daily sending limit, no limit on sending domains, SMTP & APIs, 24X7 support, webhooks and sub-user management facility. You can also calculate an approximate figure of monthly charges that you might incur with the help of Pepipost’s pricing calculator. In terms of finding an ideal & cheap SMTP server for email marketing, TurboSMTP will satisfy your needs and requirements for the same. The SMTP service provider is packed with numerous features, 24X7 customer support and secure & reliable SMTP servers. Unlike other SMTP services providers, TurboSMTP offers bounce, spam and unsubscription management capabilities. Also, TurboSMTP is compatible with all the latest bulk emailing software, hence making it an ideal SMTP service provider for email marketing. The TurboSMTP server guarantees immediate sending of emails, without any lag from anywhere and anytime. 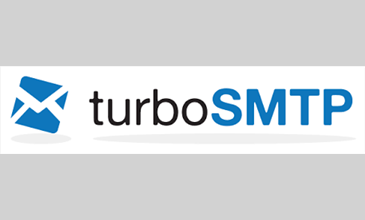 Apart from providing a FREE plan of 6000 emails (200 emails/day) per month, TurboSMTP justifies the tag of cheap SMTP server through its six pricing schemes. Bronze – You get a limit of 30,000 email relays/month in just $9/month. Silver – 50,000 relays/month can be bought by paying $30/month. Gold – This plan offers 100,000 relays/month with dedicated IP address for just $70/month. Resell – This plan too offer dedicated IP address but with 300,000 relays/month at the cost of $190/month. Titanium – 500,000 relays/month and dedicated IP address can be availed by paying $310/month. Diamond – The plan offers you the massive limit of 1,000,000 relays/month and dedicated IP address at the cost of $510/month. TurboSMTP also offers an Enterprise plan which can grant you the permission to send 1,000,000+ relays/month. You can fetch the plan details by contacting the TurboSMTP sales team. Also, you can also get 2 months FREE access if you choose to pay on annual basis. The cloud-based email marketing service is developed especially to tackle the need for a cheap SMTP server which seamlessly fosters email marketing. Through Amazon SES, you can send marketing, transactional and notification emails. High delivery rates is one of the prominent features that make Amazon SES a leading SMTP service provider. 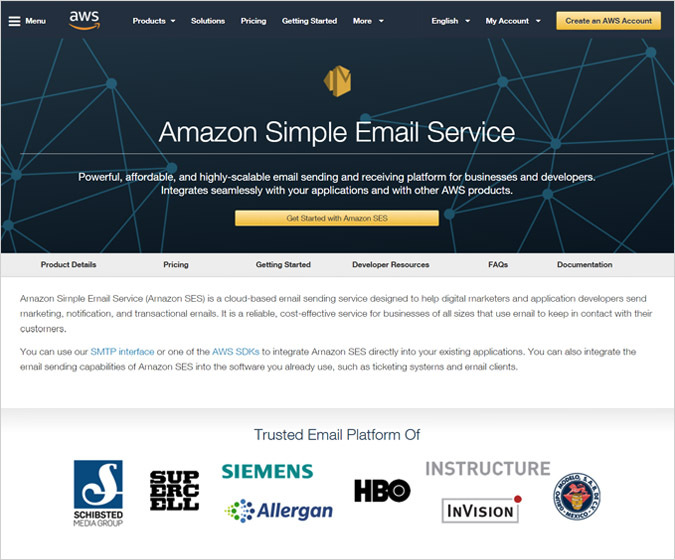 Unlike several bulk emailing software and SMTP service providers, Amazon SES too embeds DKIM signatures and supports SPF validation. Amazon SES apart from providing reliable SMTP relay servers offers dedicated IP addresses with additional charges. Even though Amazon SES charges its customers on sending and receiving emails, the plans are still affordable. So, if you are sending email from an EC2 hosted application then you get to send 62,000 emails/month for FREE. After that, an additional cost of $0.10 per 1000 emails and $0.12 per GB of attachments sent will be applicable. You will be charged $0.10 per 1000 emails if you are sending emails from other emailing software and $0.12 per GB of attachments sent. If you are using an EC2 hosted application, you can receive 1000 emails for free and the emails after that will cost you $0.10 per 1000 emails. You won’t be eligible for the free tier of Amazon SES’s receiving emails plan if you are receiving emails on external email marketing software. You will be charged $0.10 per 1000 emails received. Apart from above-mentioned charges, you will also have to pay extra for availing dedicated IP addresses, sending & receiving attachments, etc. Not only the best, MailGet SMTP is one of the cheapest SMTP service provider that offers highest email delivery rates, a seamless process of integration with the larger options of compatible email marketing software and a lot more productive characteristics. The use of whitelisted servers in MailGet SMTP server enables it to deliver emails right to the inbox of the recipients. The SMTP server automatically embeds DKIM signatures and facilitates SPF validation to prevent your emails from landing in the spam folder. 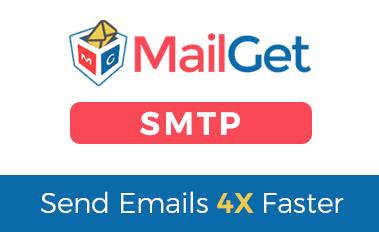 One of the notable features that make MailGet SMTP ideal for email marketing campaigns is their ability to send bulk emails at the lightning fast speed. MailGet SMTP is noticeably three times cheaper than other SMTP service providers which offer several plans based just on email sending limits, without any expiration date. The most basic plan will cost you $10 and offers 30,000 email sending limit. The subsequent plan will charge you $25 and will permit you to send 75,000 emails. Next two plans will be of $50 & $75 and will offer you the email sending quota of 150,000 and 225,000 respectively. Furthermore, the plans worth $100 and $200 will allow you to send 300,000 and 600,000 emails respectively. All the above-listed plans are designed specifically to satisfy your bulk emailing needs. 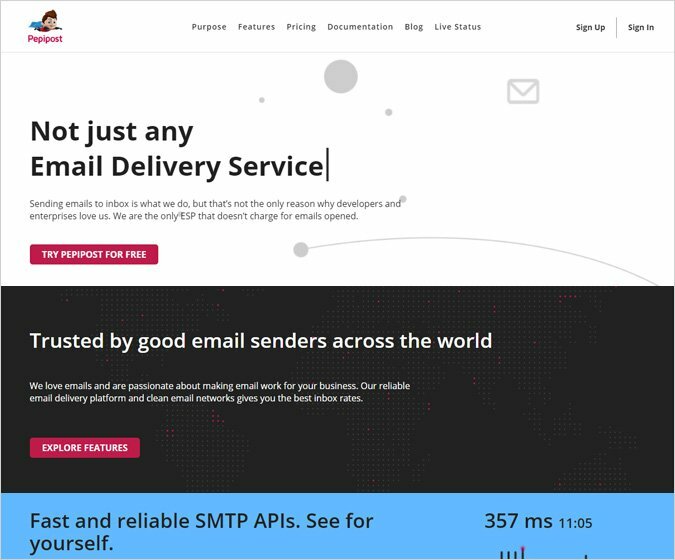 After going through the set of rigorous testing processes MailGet SMTP came out on top of all the other SMTP service providers in terms of high delivery, bulk emailing requests and most importantly cost-effectiveness. The SMTP service will not disappoint you, once implemented. Finally, you have gathered all the necessary details and information about cheap SMTP servers, all you have to do now is choose one to take care of your email marketing needs.